a photo of the materials for a bouquet of flowers. i drove a bit out of my way in my hunt for a “bouquet” photographic opportunity. i have felt many times the strong, adventurous determination to find everything on the list for this assignment. in this case- stopped in perfect position at a red light- i took to rolling down the passenger window and zooming in on the roadside flower stand, certain of the mark i could check on the list… when i got home i realized that my ambitions lacked achievement. 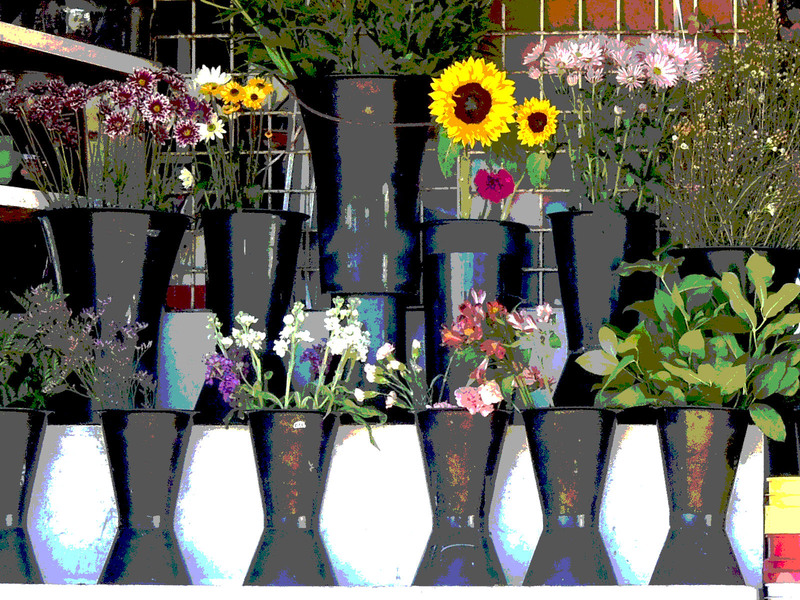 to the traffic onlooker, a passing glance at flora in buckets might bring to mind bouquets… but really they’re just flowers that need arranging. sadly still, the quality of the picture i took was poor. nonetheless, i decided not to give up on the gatherings of my hunt and i took the time to play doctor on photoshop. (which is a horrible overstatement because let’s face it- combining photoshop with me with any expertise at all- is a joke. if you remember from prior posts- i just got the software…) and so on. i hope it counts. 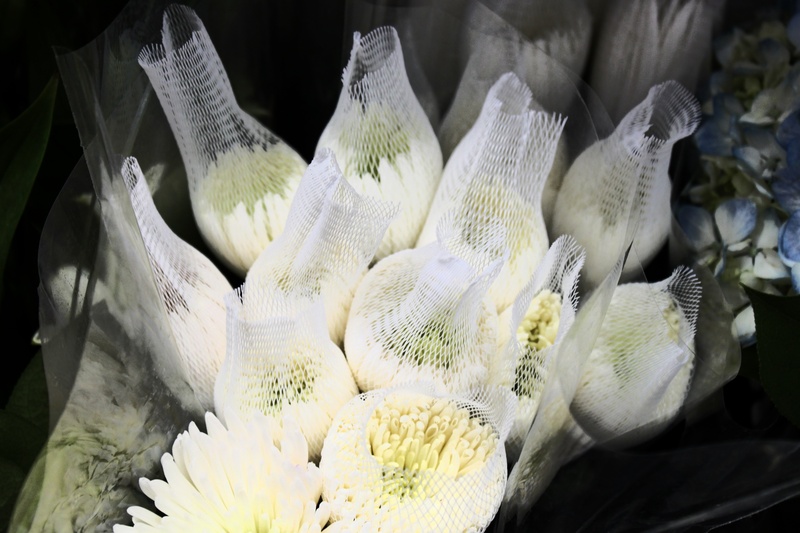 sometimes i think that these flowers are more interesting with the netting on. beauty should never be caged nor contained. beauty should be shared. yet, without this obstruction, these are just another bunch of white flowers that I’ve seen many times before- commonplace and mundane. i suppose the struggle is intriguing and will make the final reveal that much more exquisite. survive the squish! continue to blossom! you too okay? ← scavenger hunt- word art.